Andrea Leadsom quits race, leaving Home Secretary May as only candidate for PM; transfer of power from David Cameron expected within days. Britain has got its new Prime Minister. 18 days after UK citizens voted to exit the European Union, and 17 days after Prime Minister David Cameron resigned, the identity of the new Prime Minister - who will be charged with implementing Brexit - has become known. Home Secretary Theresa May became the sole remaining candidate for the leadership of the Conservative party, and therefore for Prime Minister, after rival Andrea Leadsom dropped out of the race today (Monday). Energy Minister Leadsom gave a brief statement announcing her resignation. "Strong leadership is needed urgently to begin the work of withdrawing from the European Union," she said, "A nine-week leadership campaign at such a critical moment is highly undesirable." Mrs. Leadsom referenced the broad support May enjoyed among Conservative Members of Parliament, making her "ideally placed to implement Brexit on the best possible terms for the British people, and she has promised she will do so. "I have concluded that the interests of our country are best served by the immediate appointment of a strong and well-supported prime minister. I am therefore withdrawing from the leadership election, and I wish Mrs May the very greatest success," the Energy Minister ended. Secretary May opposed leaving the European Union in the lead-up to the referendum, but has repeatedly declared her commitment to the people's decision. She reiterated this in a speech earlier today setting out her leadership campaign platform, saying that "Brexit means Brexit; and we're going to make a success of it. Political opponents of Mrs. May have argued that the next leader of Britain needs to be someone who had backed the "leave" campaign, as Minister Leadsom had. 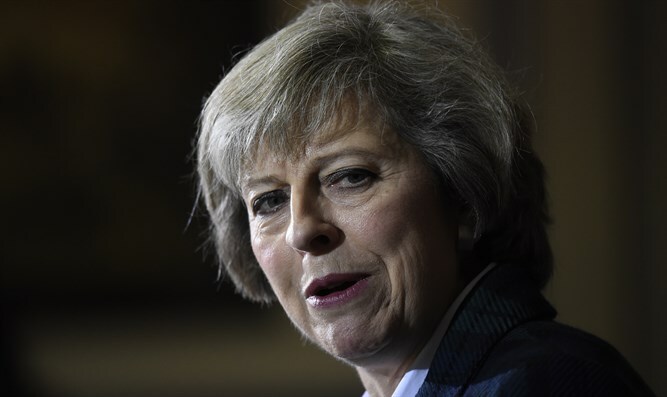 May, 59, has been an MP since 1997 and Home Secretary since 2010. Conservative party Chairman Graham Brady said the Mrs. May will be formally confirmed as the new party leader once the party board has been consulted. He declined to provide a timetable for events, only saying it will not take nine weeks, as would have been the plan had more than one candidate stayed in the race. Once installed as party leader, Mrs. May will automatically become Britain's second female Prime Minister, taking the office formerly occupied by Margaret Thatcher.